It will go down as one of the best Conference Championship rounds in NFL history. Two games, two overtimes, and a Tom Brady clinic in the final two minutes. It’s forever going to be remembered as that game that produced one of the worst no-calls ever, but the Saints had their chances in the 26-23 loss to the Rams. Up 13-0 in the first quarter, the Saints were in the box seat before an inspired comeback saw that Rams get back into the game to be down by only three points at halftime. The back and forth continued – both teams scored a touchdown in the 3rd quarter. It was in the 4th quarter the controversy ensued. Third-and-10 on the Rams’ 13-yard line with 1:45 on the clock and the scores level at 20-all, the Saints copped a shocker. A deadset blown call the NFL’s Head of Officials has already admitted was a mess. The call could well have translated into a touchdown shortly after. Instead, the Saints had to settle for a field goal. The Rams responded with a field goal of their own to send it to overtime and kicked another to win. Nobody will remember that, though. Nobody will remember the Saints had a lead and couldn’t get the stop to secure the win. It’s all about the blown call which is a shame. The Rams don’t look out of place as small $2.05 and +1.5 underdogs for the Superbowl. As it turns out, those that did actually bet against the Patriots lost out in another overtime thriller. Late in the 4th quarter and with the Patriots chasing a touchdown, the Chiefs gave away a criminally bad offsides penalty on a play that would otherwise have resulted in a game-winning interception. It was then everybody knew: this game was over. You can’t give Brady a second chance. He found the touchdown, and despite the Chiefs managing to send it to overtime, the momentum was with the Patriots. The winning of the overtime coin toss only confirmed it. Brady has received the ball first in three overtime playoffs games now. The opposition has never touched it again. Yet again, he marched up the field and manufactured the game-winning touchdown in this one. Brady is now preparing for his ninth Superbowl. 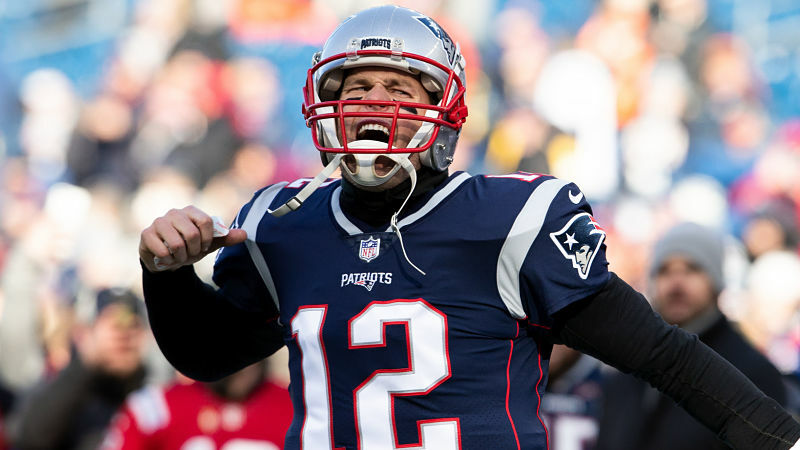 Unlike the conference championship in which Brady was an underdog for the first time since 2014, he and the Patriots are currently $1.80 and -1.5 favourites for the big one.